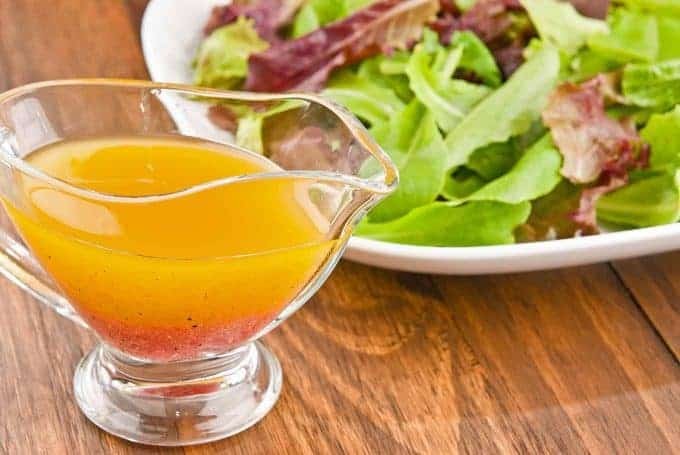 Homemade salad dressings are easy to make, preservative free and, in our opinion, better tasting than the bottled variety. 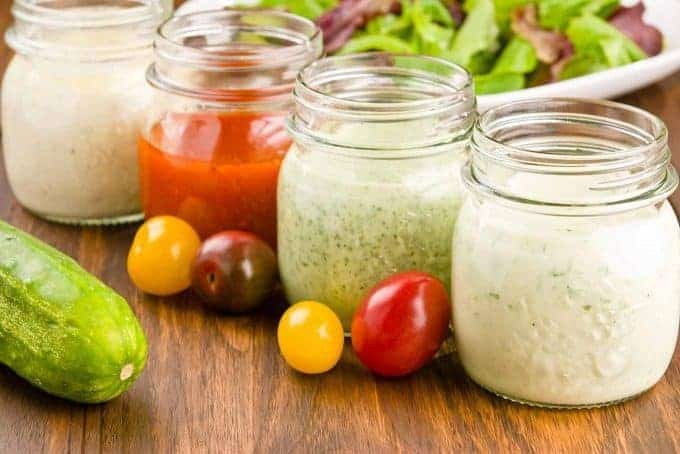 Here we have our versions of five of the most popular dressings: Classic Vinaigrette & 2 variations, Blue Cheese, French, Green Goddess and Ranch. We like to whip up a couple at the beginning of the week so that they’re on hand for weeknight salads. In a small bowl, whisk together the vinegar, mustard and salt. While still whisking, add the olive oil in a slow drizzle until the dressing has emulsified (thickened). Stir in the shallots and black pepper. 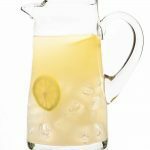 Substitute lemon juice for the vinegar, add 1/2 teaspoon of fresh lemon zest, and replace the shallot with 1 teaspoon finely chopped fresh basil. Add 2 teaspoons pasteurized egg (Egg Beaters or similar), omit the mustard and add 2 teaspoons of heavy cream. 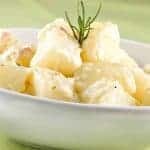 In a small bowl, whisk together the mayonnaise, sour cream, vegetable oil, vinegar and salt until smooth and well blended. Stir in the shallot, garlic, black pepper and blue cheese. 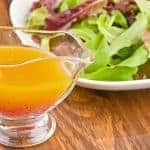 In a small bowl, whisk together the ketchup, mustard, Worcestershire sauce, hot sauce and vinegar. While still whisking, add the oil in a slow drizzle until the mixture has emulsified (thickened). Stir in the grated onion, garlic and black pepper. 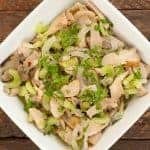 Add the parsley, tarragon and chives to the work bowl of a food processor. Pulse until finely chopped. Add the mayonnaise, sour cream, oil, vinegar, salt, garlic and freshly ground black pepper. Pulse until smooth and creamy. In a small bowl, whisk together the buttermilk, mayonnaise, oil and vinegar until well blended. Stir in the garlic and chives. Season to taste with salt and pepper and a pinch of cayenne if desired.